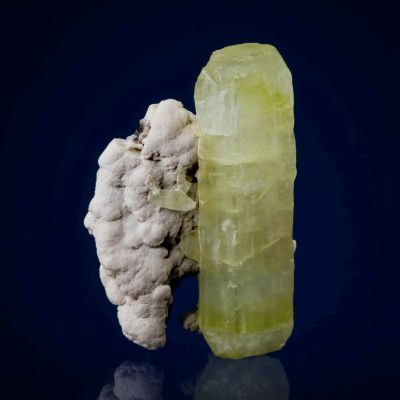 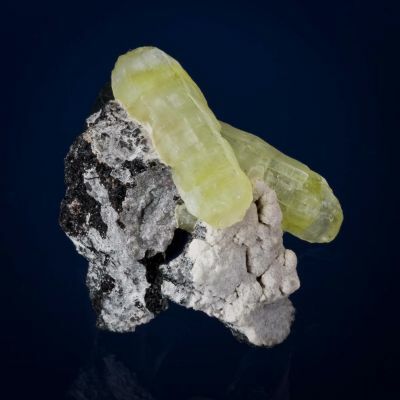 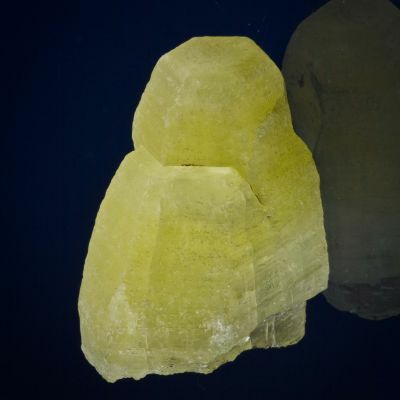 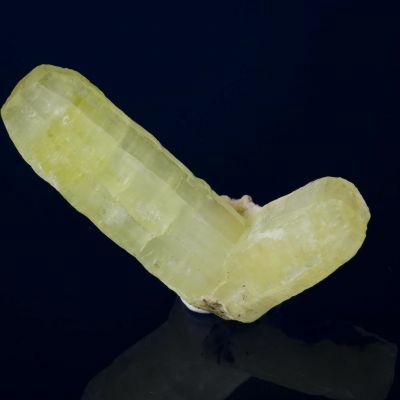 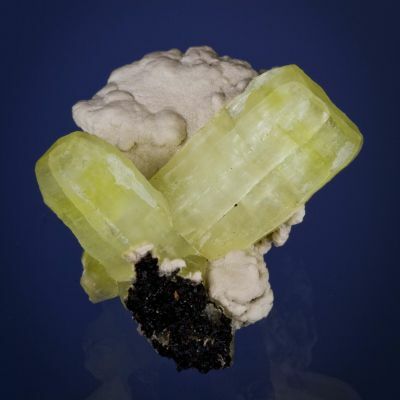 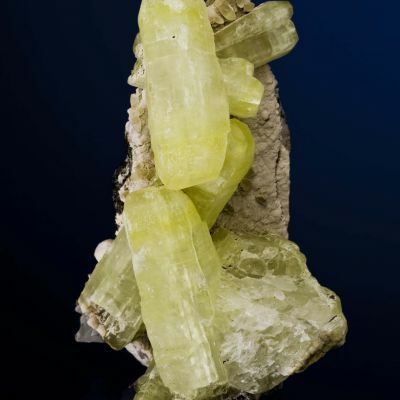 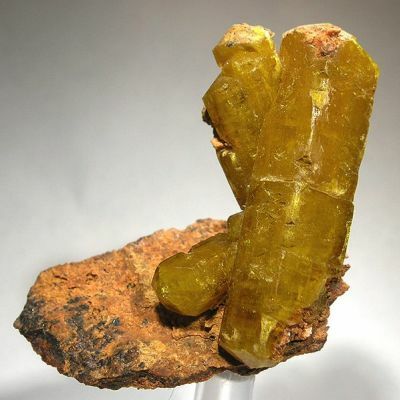 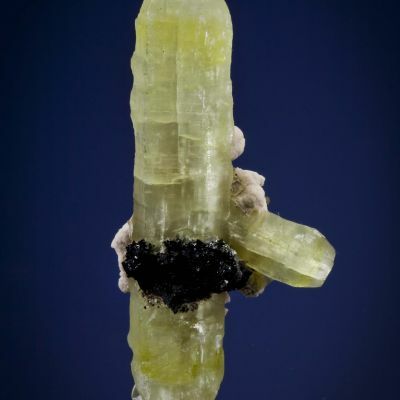 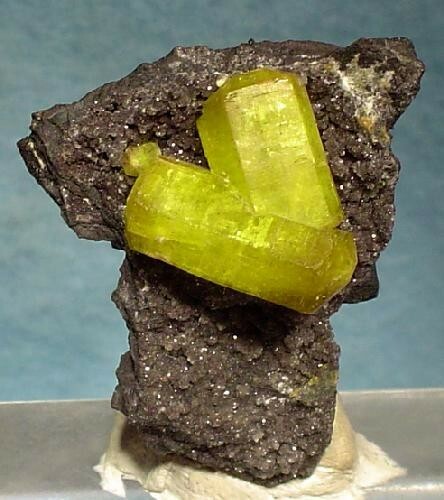 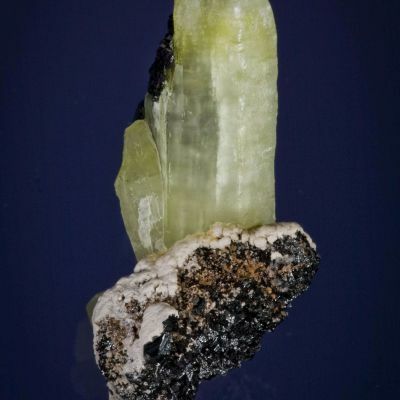 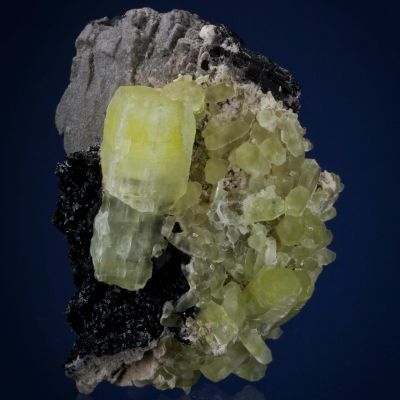 Two gemmy and lustrous, beautifully intergrown, V-shaped, sulfur-yellow ettringite crystals aesthetically set on manganese ore matrix from the famous N'Chwaning II Mine of South Africa. 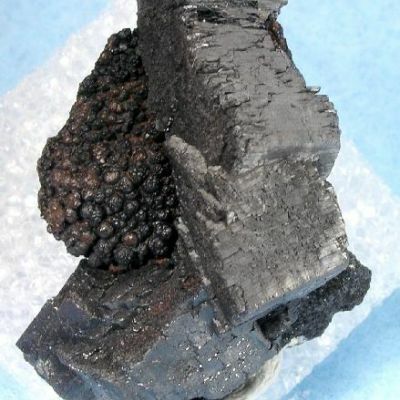 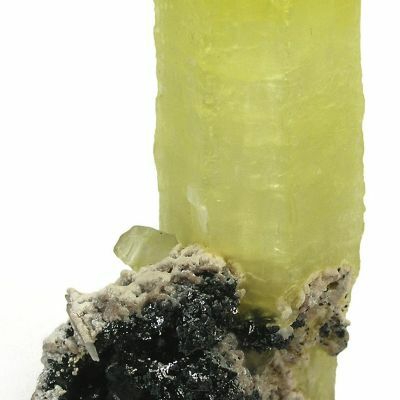 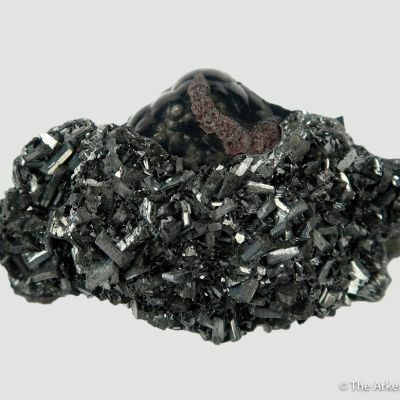 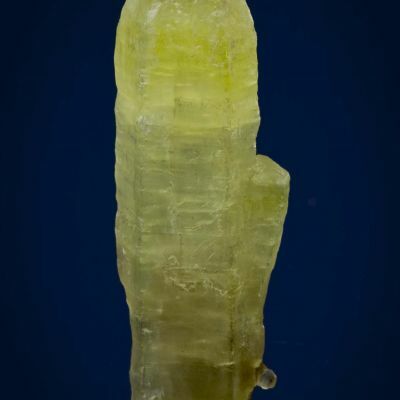 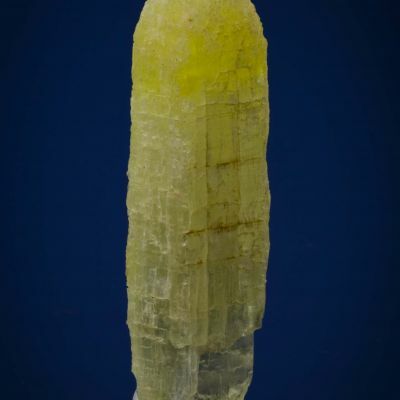 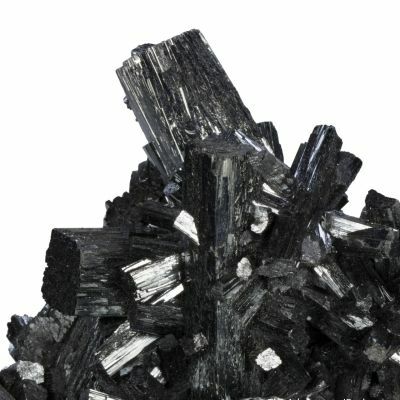 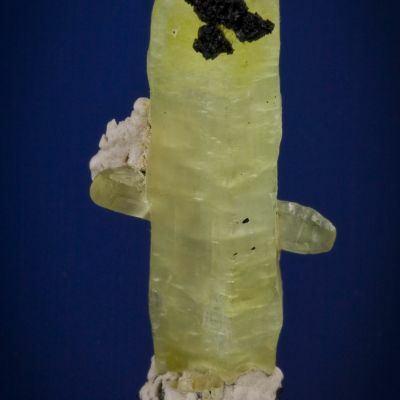 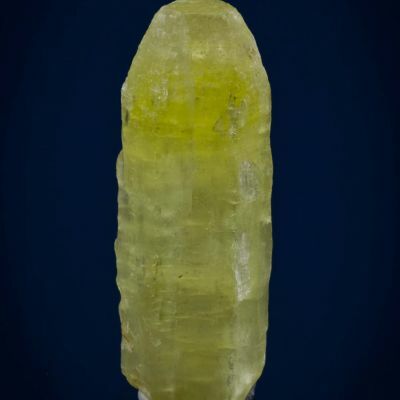 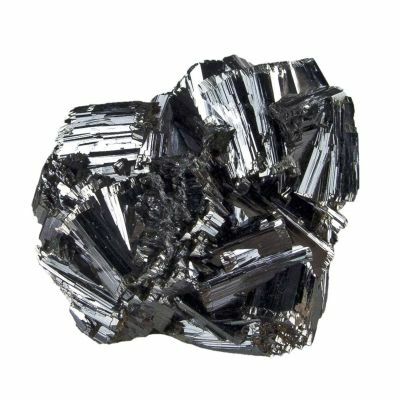 The large crystal is 1.7 cm and is doubly terminated. 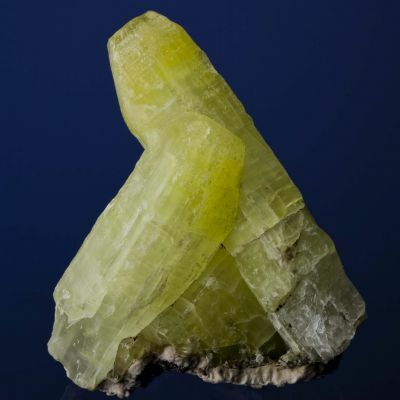 Excellent and choice material from this famous locality from the Rob Smith Collection.